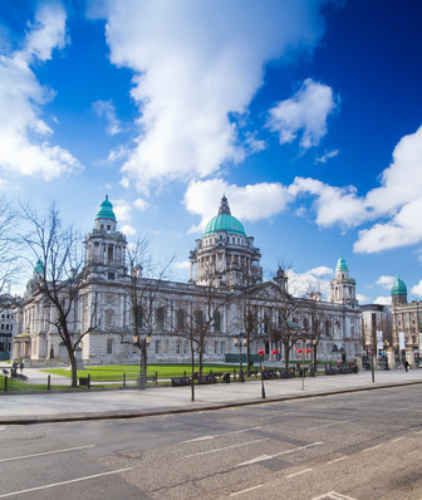 Belfast is a city resurgent, with a range of tourist hotspots, restaurants and cafes the City is full of energy. The Guardian named Belfast Best UK City in 2016. Moving from strength to strength, Belfast was voted as the Rising Star of 2017 by National Geographic with Lonely Planet recently awarding the City Top Place to Visit in 2018. Speak to your event planner to discuss which performances may be available for delegates and guests at the Waterfront Hall or Ulster Hall. Belfast hosts luxury and budget accommodation, guaranteeing the best rooms in the city. With up to 1,200 bedrooms coming by the end of 2018 – Belfast accommodation will swell with over 5,000 bedrooms. Many of the new hotels opening are in walking distance of the ICC Belfast, growing the hospitality industry by an amazing 60%. These include: The Waring, Grand Central Hotel and the Titanic Hotel. Find out more information about accommodation in Belfast. 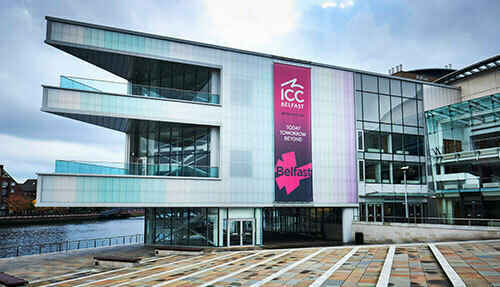 ICC Belfast is conveniently located within a 10-minute walk of the city centre. 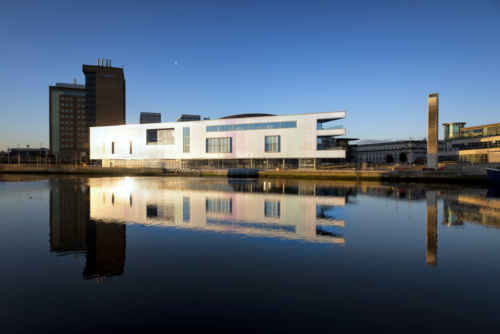 The entrance to ICC Belfast is located beside the river Lagan, overlooking picturesque views of the river, this entrance is aptly named the Riverside Entrance. Our address is: 2 Lanyon Place, Belfast, BT1 3WH. 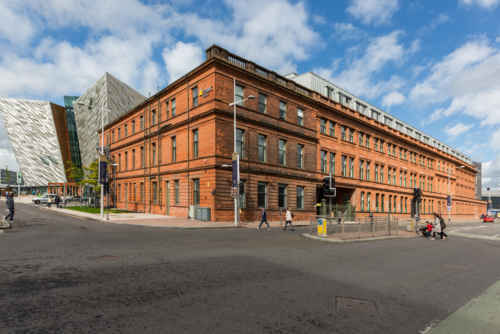 ICC Belfast is located within the heart of the City Centre which offers visitors access to a wide range of car parking facilities within walking distance to our Conference Centre. APCOA Parking Lanyon Place - The car park is surrounded by shopping centres, places to eat and located just 100 metres from ICC Belfast. The Hilton Belfast - The Hilton Belfast multi-storey car park is just a 4 minute walk to ICC Belfast. The current hourly rate for the car parks within Lanyon Place and the Hilton is £2.50. Special rates are available for evening parking in both Lanyon Place and Hilton car parks. Park between 5.30pm and midnight and pre-pay £7.50 for your stay. 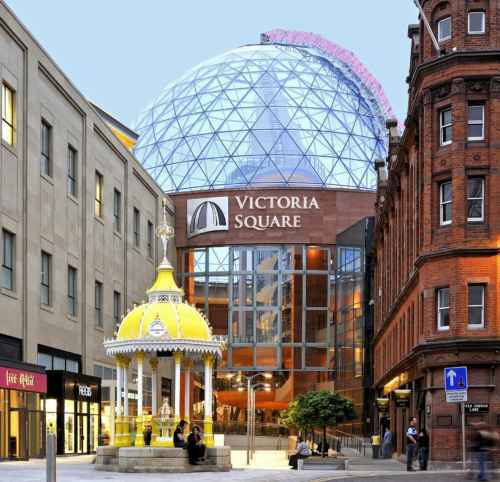 ICC Belfast is in the heart of the City Centre and is easily accessed by car, taxi and public transport. We continually strive to provide an inclusive environment for visitors, contractors and employees and address the needs of all visitors of the venue. If you have specific access requirements, please feel free to get in touch regarding your requirements.